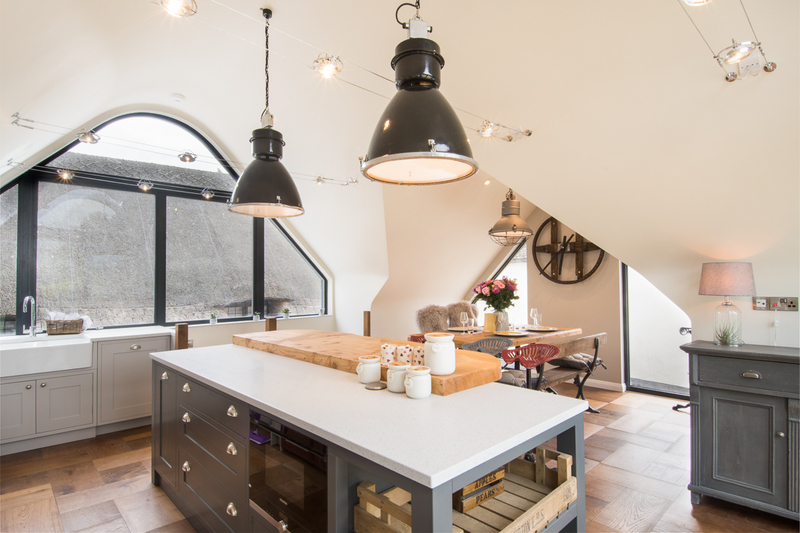 This stunning property as seen on Channel 4’s Best Laid Plans is located in the heart of the conservation area of Long Crendon. It has even featured in a few episodes of Midsomer Murders episodes. 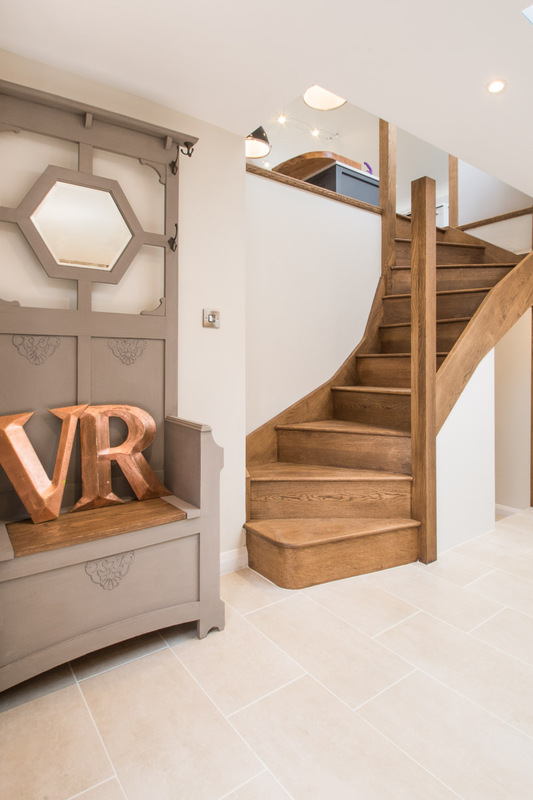 Our brief was to create an entrance hall, large family living space, new kitchen/diner, and associated bedrooms. Most of all, the client wanted to view the 200ft long, tiered gardens from inside the property.We worked closely with the local conservation team, who wanted to ensure that any additions to the property would not dominate, or obscure the original cottage. A more practical challenge was the rear garden being level with the underside of the thatch. This means there was no visual connection from the cottage, to the beautiful rear gardens. 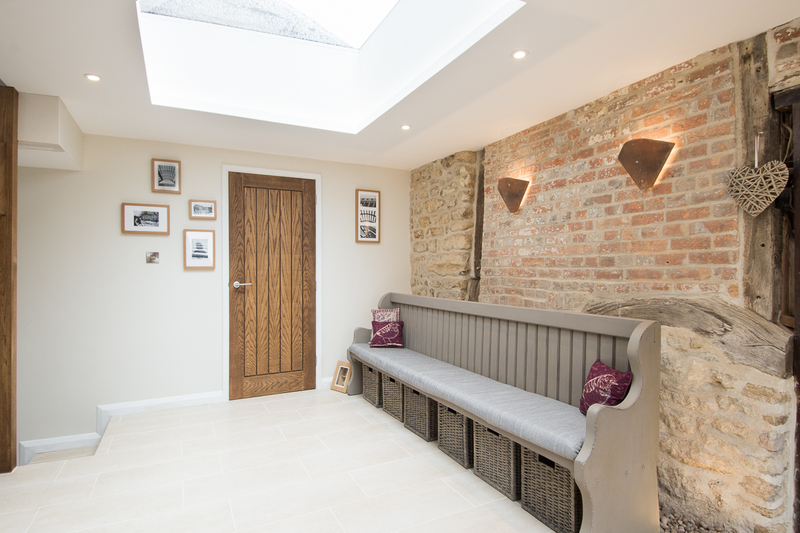 The design solution was to place the bedroom accommodation on the lower floor within the extension, and the living space on the upper level, so you can view the rear gardens. We have created the upper living space within a glass-ended tube. Looking at the house from the garden, you can see right through the contemporary extension, through to the stunning original cottage. 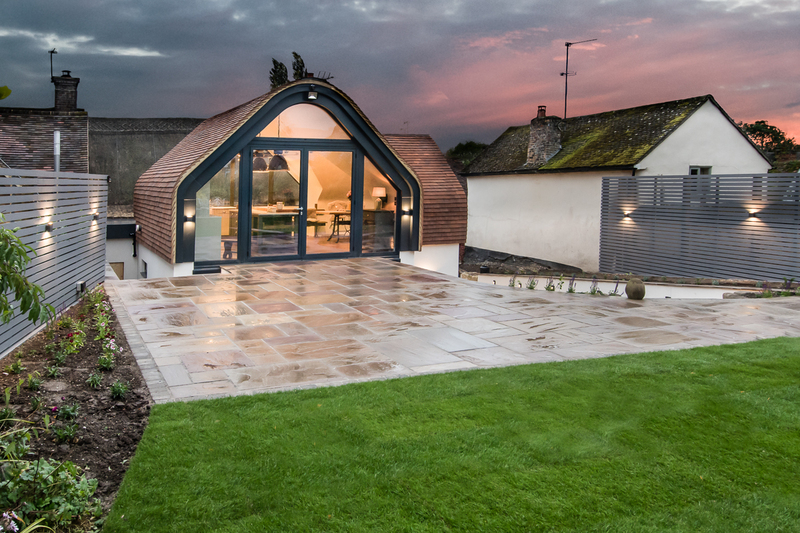 The curvature of the new living space roof, sympathetically reflects the shape and form of the original thatched cottage. The new addition to the property blend in perfectly within its surroundings. 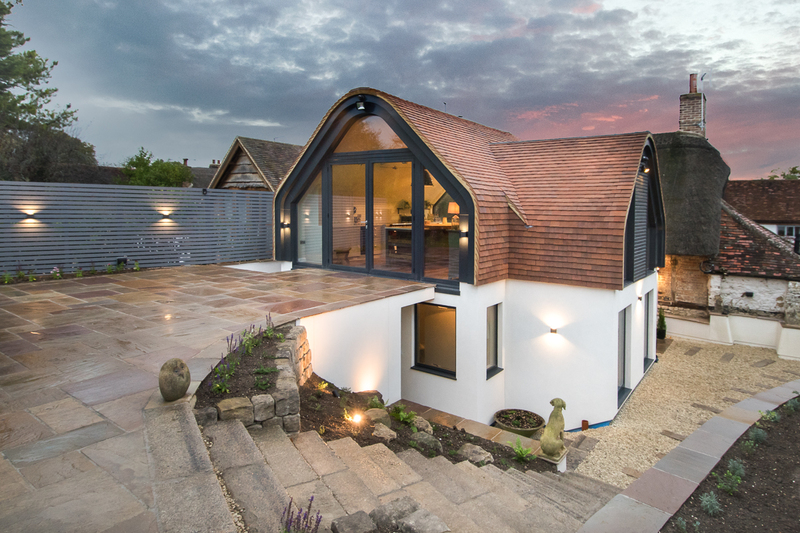 It features reclaimed rosemary roof tiles and crisp white rendered walls. 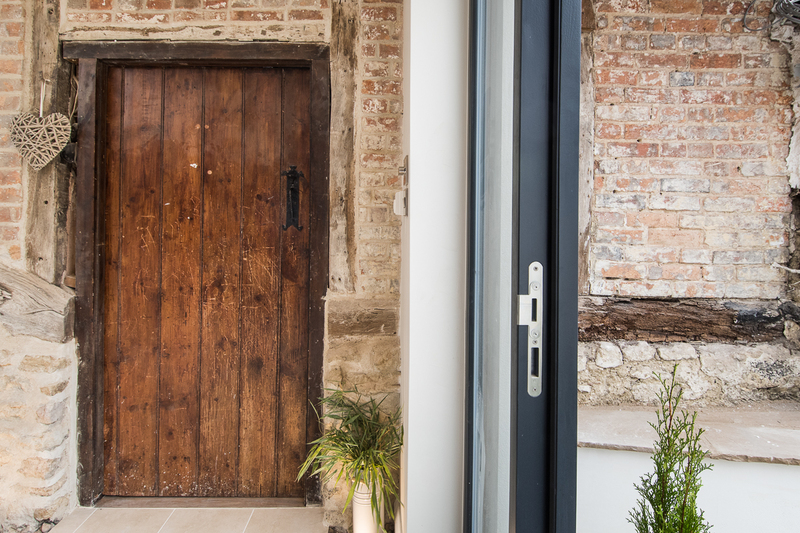 Lastly, to give a clearly defined line between old and new, we used a lightweight glass link to ensure a sensitive connection to the historic property.